Anyway, Ben Affleck Owns a Chair Shaped Like Tom Brady’s HeadJust a totally regular piece of fan art. 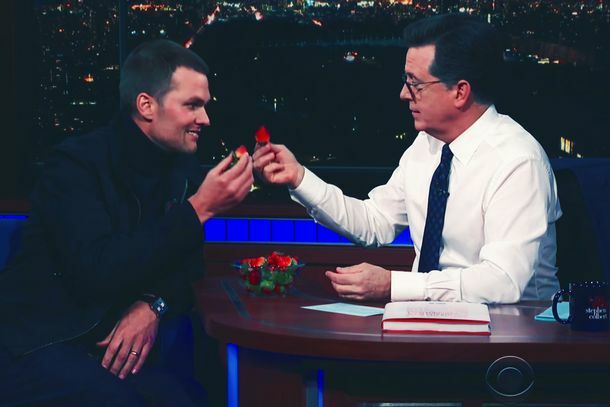 Tom Brady Finally Eats a StrawberryA historic moment. 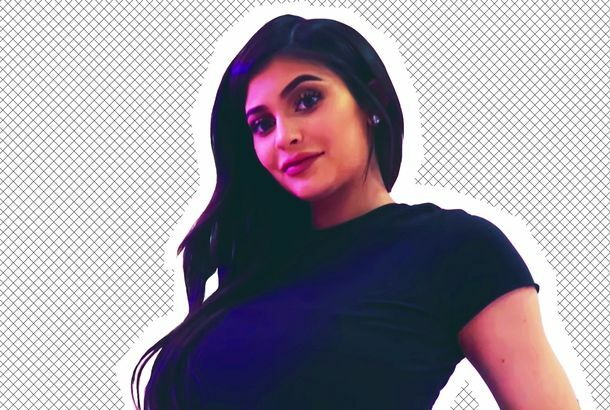 Everything We Know About Kylie Jenner’s New BabyAnd more pressing questions in this week’s celebrity gossip column. 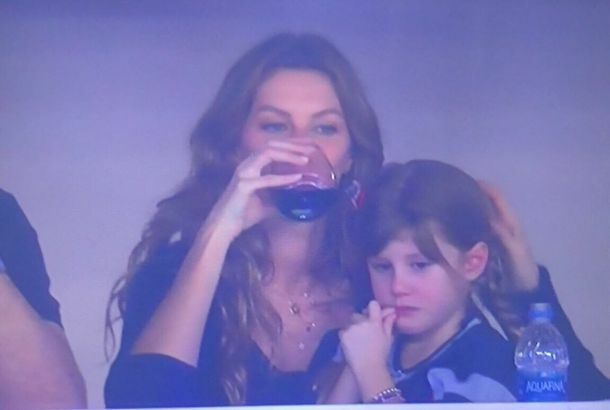 Here’s How Gisele Handled the Stress of the Super BowlRelatable. How Do We All Feel About Tom Brady Kissing His Son for a Weirdly Long TimeUhhhhh. 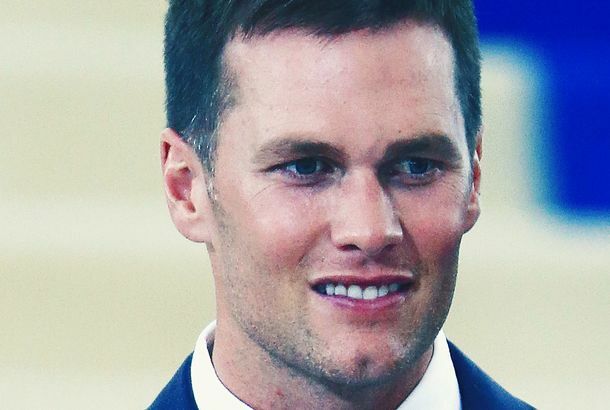 Tom Brady Thinks If You Drink Enough Water You Won’t Get SunburnAdd it to his list of quirky wellness advice. 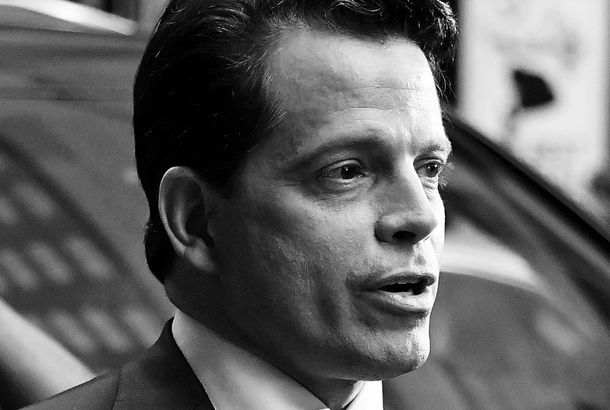 Anthony Scaramucci Has Some Theories About Tom Brady and Donald TrumpHe speculated about Ivanka Trump and Gisele Bündchen on TMZ Live. 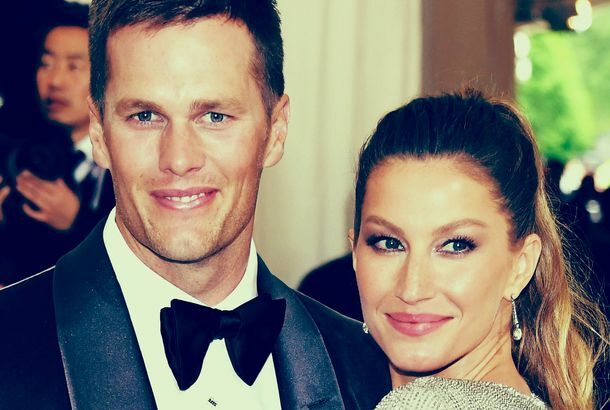 Tom Brady and Gisele Bündchen’s Torturous Country-Club Wait Is OverThe saga is finally over. 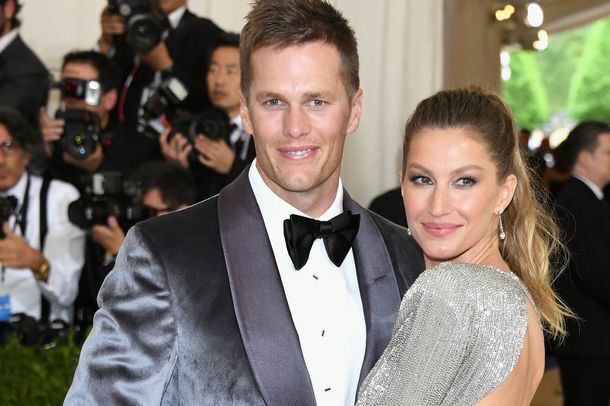 It’s Gisele Bündchen’s Fault Tom Brady Doesn’t Eat NightshadesThe supermodel said she put Tom Brady on his strict diet. Tom Brady Teamed Up With Under Armour to Make Some High-Tech SleepwearIt uses “far-infrared” technology to improve your sleep. 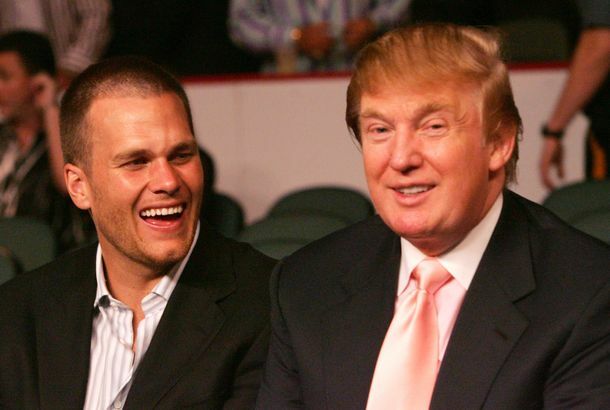 Trump Snubs Brady After Brady Snubs Trump at Patriots White House CelebrationThe quarterback, a “good friend” of Trump and the Super Bowl MVP, was not mentioned at the ceremony. So Many Men Are Weirdly Obsessed With Tom BradyAdd Chris Evans to the list of male celebs going to bat for TB12. Mexican Prosecutors Release Images of Brady’s Allegedly Stolen JerseyThe prime suspect: a journalist with an apparent track record of similar pilferings. Tom Brady Has Launched a Meal-Kit Delivery ServiceThey still follow his ultrarestrictive diet, but don’t look half bad. Gisele and Some Football Player to Co-chair the Met GalaWe can’t exactly picture them in Comme des Garçons. 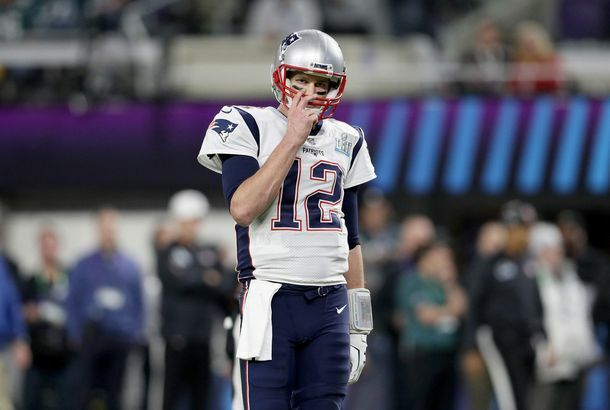 If You See Tom Brady’s Super Bowl Jersey on eBay, He’d Like It Back PleaseBrady says his jersey was stolen from the locker room following the Patriots Super Bowl win. It Looks Like Bill Belichick Really Did Endorse Donald TrumpTrump shared a glowing, last-minute endorsement from the Patriots coach at a rally on Monday. 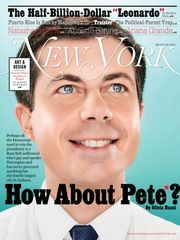 He said Tom Brady voted for him, too. Guess What Gisele Bündchen Did With Her Kids’ Halloween CandyThey got one delicious bite. This Video of Tom Brady Eating Candy in Slow Motion Is Weirdly SensualIt’s no strawberry. Here’s What Tom Brady Had to Say About His Friend Donald TrumpNoted strawberry hater Tom Brady would not say which candidate he favors. Tom Brady and Gisele’s Ultrarestrictive Diet From HellThis is no joke. I Tried to Eat Like Tom Brady and Gisele, and I Was So HungryA life of vegetables, and Boston. Do Not Buy Tom Brady’s $200 CookbookDon’t do it. Of Course Perfect Humans Tom and Gisele Stick to Their Diet on VacationWell, there is the raw vegan dessert they sometimes sneak. Watch That Trump Theme Song Get a West Wing TreatmentWith Tom Brady as VP. I Am Hungry on Tom Brady and Gisele’s BehalfNo white sugar. No white flour. No fun. Tom Brady Still Supports His Friend Donald TrumpSo he told a Boston radio station. 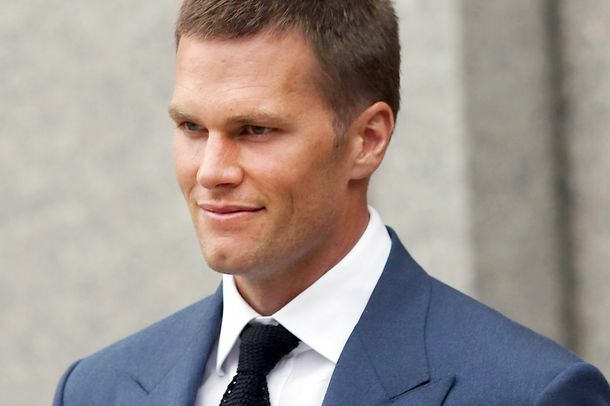 Courtroom Sketch Artist Somewhat Terrified of Having to Draw Tom Brady AgainThe New England Patriots quarterback will be in New York City court again on Monday.